Ever seen someone on Facebook that would be perfect for your biz, and you can tell that he/she has some “social influence”? So you wanna get in touch with them, right? But what are some of the reason they may avoid you, and how can you avoid that? Naturally, as an excited Network Marketer you’re gonna want to private message them and knock their socks off with your “amazing opportunity”, rrrriiiight? So how about your own Facebook & other social platform posts? If your Facebook posts have these blowing through them, there’s a few things you gotta figure out… quickly! Have you ever racked your brain on what to post, and try to “slip your product in” to your lifestyle shots? Have any of your posts only got like 2 “likes”, (and it was only your Mom and your best friend)? I’m going to explain to you WHY this happens. Then, what’s even more incredible, is when you post a totally pointless post or meme on your wall, you get an insane amount of engagement with all kinds of smarty pants’ comments! I used to think people only cared about stupid things that do nothing for their future, (and I was even right sometimes, lol!) … BUT…. The things THEY cared about were only meaningless to ME, (and I finally found out that I should care LESS about what I personally thought was important, and care more about what’s important to the people I actually wanted to attract into my business. So if you’re not sure if (or why) you’re actually being avoided, let’s explore where most #BossBabes go wrong and get “stuck”, and what we did to turn it around run lightning fast with “social network/Direct Sales marketing”. Less than 5% of your network on Facebook actually sees any of your content. This is because there’s just WAY too many friends posting content, all day every day, so it would be impossible for Facebook to put all that content up on your wall. In fact, if they WERE to put everything that all of your friends put up today, it would probably take you a MONTH to get through all of your Facebook friend’s posts they did today! So Facebook has the algorithms, (I heard over 16,000 of them), set to where you will see only a small fraction, (less than 5%), of your friend’s posts, and you’ll only see the posts of friends that you’re in regular contact with. It’s priority is to make sure that people STAY on Facebook, (so Facebook can keep the eyeballs there, and make their money from partnerships/advertisers/etc.! ), so it is crucial that people are having a great “user experience”. What FB doesn’t care about is you or your business, especially if you’re trying to make money from your personal page for free! In fact, selling or pitching from your personal page can be a bit touchy (and even dangerous), because it’s a tactic that doesn’t take much thought/skill, and Facebook hates that! They’ll quickly shut down your account, or at least put you in “Facebook jail”. The 16,000 algorithm bots see EVERYTHING! If you want to learn what Facebook DOES like, you can learn more about leveraging with a business page on in this other post. If you want long term strategy for building an empire and generating quality leads for your business, you must be a ninja in today’s social marketing world. We must be interested, (instead of only trying to be interesting), and create engagement, be curious, and thoughtful. Ask questions that cause FB people to comment, create tons of curiosity, get RIDICULOUSLY CREATIVE and be ultra VALUABLE while entertaining them! If you want to get attention, your prospect must identify with your post, feel heard, connected, special, entertained, and/or engaged), or they’ll quickly hit the “unfollow” button and tune you out. We also have what we call an “engagement tribe” who all help each other with ‘likes’, comments and engagement, to warm up the Facebook algorithms and create social proof that causes curiosity. So another thing you can do is master Facebook GROUPS as an effective, subtle, friendly and strategic move, and it’s actually a more efficient platform for social selling or prospecting. You can learn more about that HERE. But I can tell (most of the time within the first sentence in a message) if you’re a networker on the hunt dropping hints. And if right now you’re saying “oh no, not ME though” – well, that’s usually your ego talking, and you can NOT trust your ego, lol! Your ego is going to have a bit of “Cognitivie Dissonance” going on, so make sure and keep reading until the end! They avoid “it” because their subconscious mind makes SNAP decisions, (based on past experiences). So if they glance at your post and associate it with anything that would make people avoid them, their subconscious will say “NOPE, I wouldn’t wanna do that”. Don’t Be The “Needy Dog”. Become The “Cool Cat”! Have you ever gone to a friend’s house where the cat kinda kicks back a few feet away (at a distance) and “flirts from afar”, slightly meowing, playing it cool, and YOU are the one who has to try hard, practically BEGGING to get it’s attention so it will come over, so you can pet it? Have you ever had the experience of the annoying, over-excited DOG who jumps on you, forever trying to lick your face, invading your space, and shedding fur all over your new jeans, way too eager and needy for your attention? Ok! DON’T BE THE DOG! The cat always plays it cool. It is always busy, “doing it’s own thing”. It’ll give you a little tease, and you probably won’t be happy until it finally comes around and LETS you get to pet it! So if you do this “wrong“, they’ll immediately judge (you) based on their perception/past experiences. “NOPE, I wouldn’t want to have to hunt down all my Facebook network and be avoided by my family, (or even un-followed by my friends”)! Initially, it has nothing to do with our “best breakthrough products“, or “new fastest-growing Inc.500 company”, “best comp plan”, or “timing is everything”, or any of the other “stuff” we’re all excited about after coming come home from the convention! -First, a pattern interrupt to get their attention and getting them to stop scrolling. Entrance them in your story line, with a picture that goes along with the lesson. …you know, “SHARING” in a caring way. (Notice I did not say spammy unthoughtful “selling” to “whoever”! We invested into ourselves and our business and bought different social media courses, to become valuable and educate our teams on how to post (and lead) in the most attractive way, (instead of the “hey anyone, please, buy my product or join me!” way). As you know by now, people LOVE to be social and love to buy what’s cool, but they HATE getting “sold” on stuff – especially on Facebook. They’re on Facebook to socialize, engage, spy, and maybe even share, if it’s valuable/interesting enough, so you must capitalize on that! BUT, if you’re not trained on using the right language and copywriting skills, (interruption marketing), and your post is even slightly impersonal, polished, or spammy, (meaning you’re just going for ‘anybody’), then you’re not making it exclusive, and you will not get any traction. Again, most distributors go to the conventions, get excited, and told to be “brand promoters”. Then, we anxiously throw up pics of our products, with the name and logo all out there for everyone on Facebook to ignore, lol! There’s absolutely NO engagement on her post because people are immune to this style and will not be “sold to”! Also, this post KILLED any potential curiosity, (which is one of the most powerful motivators for actual attraction), leaving absolutely nothing to the prospect’s imagination. (More on that below). Even if someone did have interest, they were given the logo and name right there, so instead of directly asking you, they’ll immediately go to Google and investigate it to get their own answers, (also because they’re scared you might try to sell them something). And what are they going to find? “Scam, sales, pyramid, negative reviews, etc.”! Or else they’re going to run into someone else’s content on Google, and sign up with some other marketer who attracted them with the promise of knowing how to use that exact same tactic! Now why would you even take that chance? Don’t blow it by initially revealing the name, logos, or any general “features” of your products, without any kind of emotion, story, or feeling written into your post. If you want your prospects to make a move and take action, learn how to tug on their heart strings, so you can actually help them help themselves! What DO your prospects care about? They care about the BENEFIT of the benefit. How they will FEEL when they get the results! The salesy post tactic is more of a “push” energy, instead of a “pull” or attracting energy. …because they’re not clueless – they’re onto us! lol! I got a few more messages this week from more networkers, who (bless their heart), hit me with more spaghetti they threw on the wall, to see if it would stick, heheh! Now, if it made me feel like I was just “another one”, how are all their other prospects going to feel? I can joke about it because I used to do the silly stuff too! Just lazy copy & paste attempts to “get” someone – (like, anyone) – into their business, LOL! Ahhhh… I remember it like yesterday! I was soooo excited! It’s like I had lost my mind! My victims were completely un-targeted, and hit with unthoughtful spam, and yes, it caused more harm than good! In fact, I literally had to apologize to some of my close friends for being “that guy” and avoiding their space, shotgunning everyone and anyone with “this amazing once in a lifetime opportunity”, LOL! “Fast is slow, and “slow” is FAST”! That means if you go too fast with people, (with a spammy “I’m sending everyone the same unthoughtful copy & paste message”), your business will go very SLOW. However, if you go slower with people, adding value into their lives, with no strings attached, and show them you actually CARE, your business will go FAST! There are thousands (if not hundreds of thousands) of clicks per day, of people who are not just “open”, but already interested in (and proven to buy) your products or services? 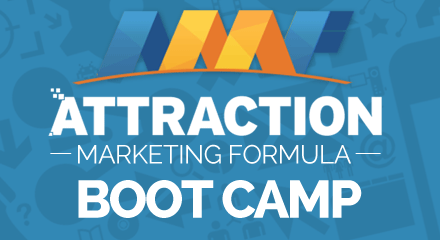 Facebook will allow you to target and identify who and where your perfect prospects and business builders are hanging out and help you get your information in directly in front of them? One of the biggest psychological triggers that moves people to “want more” is the power of curiosity. But this may just be the the tiniest little tweak that makes all the difference and it could easily kick your business into overdrive. One major thing about the human mind is that it must have “closure“. We HAVE to know “what happens at the end“. The mind hates what we call an “open loop”. It’s why we all love movies and story lines, and it’s why I can’t even fall sleep until I see the end of the movie! So if you give up all the information – (close the loop) – and satisfy their curiosity right away, then they’ll think they already know what it’s all about, and they’ll never have to show up to discover the best part of it! And now why would they even be compelled to show up to get more information, if they think they already know what it’s all about? The biggest “trick” is to focus on your target market’s biggest PROBLEM or frustration, and talk about it. I even quickly “agitate” the pain in my posts/articles, to get people to act on finding the solution. The problem that causes their pain/struggle is what’s really important to them, and they will show up if you’re inviting them based on that pain. It “pulls” them and makes them curious enough to watch a quick video clip, and that clip can then make them curious enough to take the next steps. Then they’ll want to get the rest of their curious questions answered, and at the same time, you’re giving them multiple “mini” exposures and building up a relationship of credibility and trust. Now that you’re creating curiosity, step-by-step, every step of the way… by the 4th-6th exposure, they have wrapped their head around it enough to see themselves getting it, (or doing it), and you help them finally get what they really wanted. So always think about that and make sure to hit those subconscious “objections” in your language or vides, before they even come up! We can’t wait to hear how these 5 points helped you… please leave a comment if that made sense! There are many more ninja tactics to be mastered, so if you stay plugged in over at our Facebook page, (Never a Case Of The Mondays), there’s a ton more to come. In the meantime, if you want to master social media like we did, you can grab your free Social Ninja Network Marketing Training HERE. Oh, and if you liked this, laughed or found value, please like and share, and reach out to let us know!